UNITED NATIONS, April 11 (Xinhua) -- The United Nations on Wednesday stressed the need for the safe evacuation of civilians from besieged areas in Syria's Eastern Ghouta and the importance of protecting them. Close to 4,000 people, more than half of them women and children, left the besieged town of Douma in Eastern Ghouta on Wednesday for Aleppo governorate, said Stephane Dujarric, the chief UN spokesman. 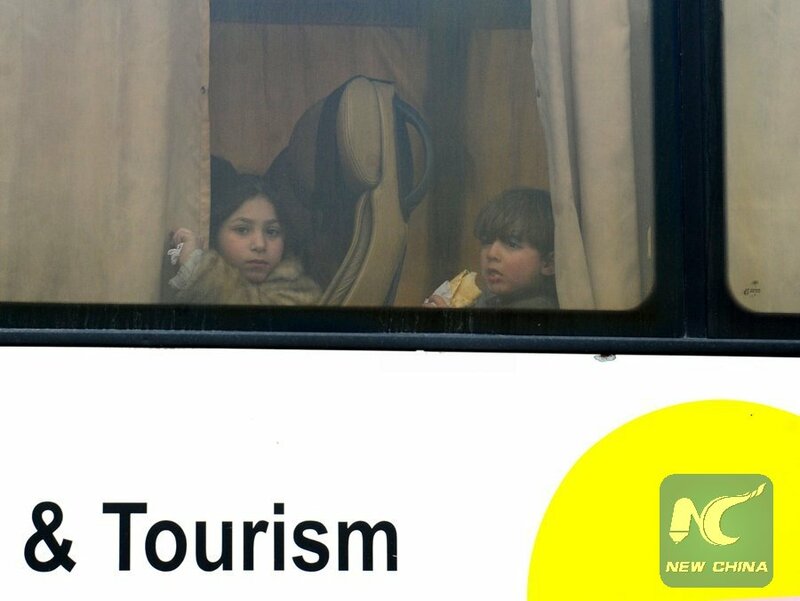 An earlier convoy from Douma, carrying 4,395 people, mostly civilians and some fighters, arrived in Aleppo on Tuesday, where they were directed to a camp for internally displaced persons. Some 150,000 people are estimated to have left the rebel-held enclave of Eastern Ghouta since March 9, said the spokesman. "We once more underscore that any evacuation of civilians must be safe, voluntary, and in strict accordance with protection standards under international humanitarian and human rights law," said the spokesman. "It is also imperative that all those displaced are allowed to return voluntarily, in safety and in dignity, to their homes as soon as the situation allows it." The Syrian government is carrying out a military campaign to retake Eastern Ghouta. Reports of a suspected chemical weapons attack in Douma over the weekend shocked the world. Staffan de Mistura, the UN special envoy for Syria, on Monday warned of the danger of the current situation in Syria running out of control as the conflict is drawing national, regional, international actors into dangerous situations of potential or actual confrontation, he told the Security Council.